Our range of products include cable drum, hensel cable drum, portable cable drum with switch and sockets, cable drum sound, led round spot light and nexus led cob light 15 watt & 18 watt. 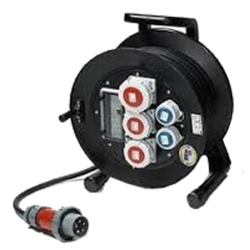 We Wel-lite electricals & electronics private limited have been counted amongst the most trusted names in this domain, engaged in providing Cable Drum. Hensel Cable Drum offered find application in packaging, transportation and laying of cables, wires or pipes and can be made available in different finish designs as well as usage capacities so as to match up with the specific working needs of the customers. Further, these innovative solutions assure of intelligent cable reeling support and bear high quality standards as per DIN, EN, ISO and other standards. Some of its finish configuration choices include cable box with or without cable; cable reel made of high quality plastic; cable reels made of special rubber; steel cable reel; cable reels made of sheet steel (with/without cable) and others. Further, these are suitable for long large diameter cables as well as come in stackable designs that caves on valuable floor space. 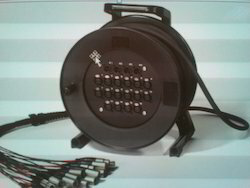 synthetic rubber cable drum, weatherproof, shock proof, dust proof, with weatherproof sockets and incomer plug. long term solution, no need to invest again and again. portable with cable upto 50 metres extendable. 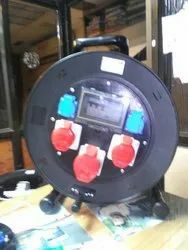 The cable drum is with stand and optionally trolley can be provided at extra costs for easy manouverability. compared to metal solutions, much greater flexibility and longer life. Cable Drum Sound offered find application in packaging, transportation and laying of cables, wires or pipes and can be made available in different finish designs as well as usage capacities so as to match up with the specific working needs of the customers. Further, these innovative solutions assure of intelligent cable reeling support and bear high quality standards as per DIN, EN, ISO and other standards. 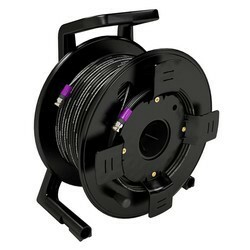 Some of its finish configuration choices include cable box with or without cable; cable reel made of high quality plastic; cable reels made of special rubber; steel cable reel; cable reels made of sheet steel (with/without cable) and others. Further, these are suitable for long large diameter cables as well as come in stackable designs that caves on valuable floor space. Weatherproof, dust proof, with canopy, push button, can also be provided with canopy. The push button station can be provided as per the customers requirement. The Box is of HENSEL which is made of engineering thermoplastic material which is corrosion proof, weatherproof, .The advantage of the material is if need be an extra pushbutton or socket can be added which gives flexibility in design.